AMERICO Federal Credit Union member share accounts are federally insured up to $250,000 (up to $250,000 for IRA Accounts) by the National Credit Union Administration (NCUA), a Federal Government agency. Click here for more information on How Your Accounts are Federally Insured (new window/tab). Through our web site, Americo Federal Credit Union strives to conveniently serve you and provide you with valuable information. We hope this site answers your questions about our products, services and hours. Americo Federal Credit Union values your interest and is committed to protecting the privacy of our members. While our website does not require you to disclose any personally identifying information, if you choose to contact us via email, your email address will be revealed to us. Americo Federal Credit Union will not sell or share your email address with any outside organizations unless we are compelled to do so by law. The credit union will occasionally use your email address to contact you with additional information about the credit union and services we offer. Private information is required to enter the Internet Home Banking service provided to you by Americo Federal Credit Union. This service is supported by IntegraSys. It is hosted within the IntegraSys high-security, high-availability web data center located in Plano Texas. This highly secure facility provides multiple layers of physical and data security to ensure information integrity and service reliability. The date center uses firewall technology to separate sensitive data from the public Internet. Americo Federal Credit Union may use a counter to obtain such information as type of browser used, time and number of browsers on our site, and other general tracking information. This information is used internally and will not be sold or shared with others outside the credit union unless compelled to do so by law. To provide you with greater access to information, Americo Federal Credit Union’s site may also contain links to other sites. While we hope these organizations join us in respecting your privacy, Americo Federal Credit Union is not responsible for the content or privacy practices of these other web sites. Please read this Statement carefully, as any use of americofcu.org constitutes your agreement to all of Americo Federal Credit Union’s Online Terms and Conditions, including but not limited to this Statement. This Internet Security Practices Statement is part of, and is incorporated into the Americo Federal Credit Union membership and Account Agreement and Americo Federal Credit Union’s online terms and conditions. To qualify for and use Americo Federal Credit Union’s Internet-Based services, a member must be in good standing. Americo FCU makes every attempt to ensure all information, rates and promotional offers listed on americofcu.com are current and accurate. However, this information should be construed only as a guideline. Americo Federal Credit Union reserves the right to make subsequent changes to the content of americofcu.com at any time due to change in policy, State and Federal regulation, or otherwise. Various pages of americofcu.com allow you to submit information to us via email. Americo FCU collects the email addresses of those Americo FCU members who send us email and the information provided in the email. Americo FCU also collects information volunteered by our members through surveys and electronic form. This information is used to improve the content of americofcu.com, and to enable you to have a voice in the future for the credit union and its services. The information you send Americo FCU is stored on web servers that reside behind a firewall to shield these servers and their information from unauthorized access. Security for our Internet Home Banking is supported by IntegraSys. It is hosted within the IntegraSys WebVault. IntegraSys high-security, high-availability web data center is located in Plano Texas. This highly secure facility provides multiple layers of physical and data security to ensure information integrity and service reliability. The data center uses firewall technology to separate sensitive data from the public Internet. For security purposes, your Member Number and Personal Identification Number (PIN) are required to access your account through our Internet service. Your PIN should not be stored on your computer and should not be the same as any of your other PINs. You will be better protected if you change your PIN frequently and do not use the same PIN for any other Internet site. Do not disclose or otherwise make your PIN available to anyone. If you authorized anyone to use your PIN, that authority may be attributed to, and obligate you. If you are ever uncomfortable communicating with Americo FCU electronically, you may instead use traditional methods of communication such as using the telephone, U.S. mail, or visiting Americo Federal Credit Union’s offices at 4101 Main Street or 2545 West 23rd Street, Erie, PA. Regular Internet email is not secure. Various sections of americofcu.org allow you to submit information to Americo FCU by email. You should use these sections to provide information that is not-sensitive and non-confidential. Americo FCU strongly urges you not to provide personal or account information through email or request information from us that is confidential or sensitive. As unsecured Internet email is not secure, you accept the risks associated with sending insecure email, messages and/or any files you attach to these insecure emails. If you request sensitive or confidential information from Americo FCU via unsecured email, you accept these risks as well. To communicate sensitive or confidential information, we strongly urge you to contact us by phone, mail, or by visiting our office. Americofcu.org contains hyperlinks to other Internet web sites operated by third party companies or organizations. When you click on the links, you may leave americofcu.org and go to the linked site. Americo FCU is not responsible for the contents, use, or privacy and Internet security practices, and their terms and conditions that apply. Please review the privacy and Internet security practices for each of the linked Internet web sites you visit before you provide any personal identifiable information. All links or other connections to other Internet web sites, or mention of other companies or organizations is solely for informational purposes to Americo FCU members and should not be construed as an endorsement or relationship other than what is stated where such a connection is made. Americo FCU reserves the right to change any part of its Internet Security Practives Statement at any time. You agree to check our Statement periodically to make sure you remain comfortable with its content. Nothing in this Statement affects our ability to collect, combine, use, verify, retain and report including sharing with our regulator information submitted in connection with the provision of Americo FCU’s products and services. Americo FCU also reserves the right to do the same with information that does not personally identify you, without reference to this Internet Security Practices Statement. 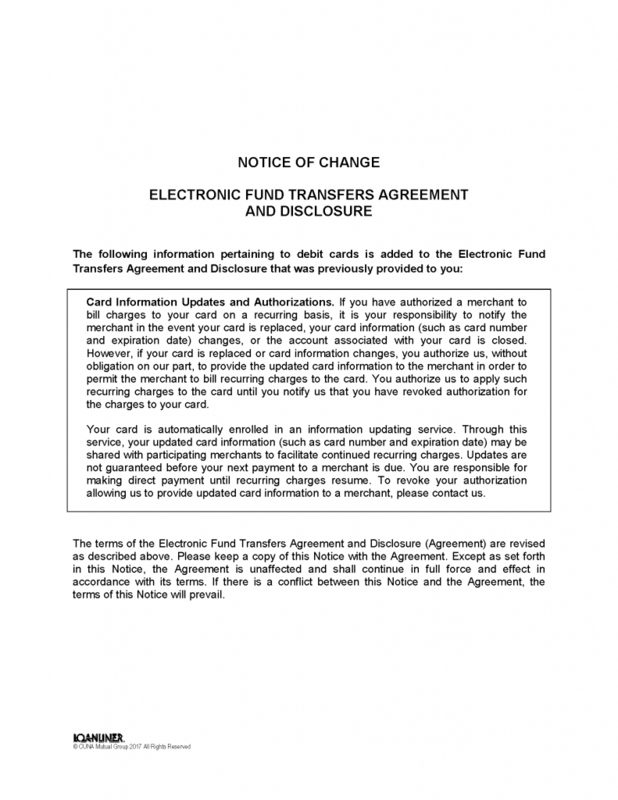 This disclosure describes your ability to withdraw funds at Americo Federal Credit Union. It only applies to the availability of funds in transaction accounts. The credit union reserves the right to delay the availability of funds deposited to accounts that are not transaction accounts for periods longer than those disclosed in this policy. Please ask us if you have a question about which of your accounts are affected by this policy. 1. General Policy. Our policy is to make funds from your cash and check deposits available to you on the next business day after we receive your deposit. Electronic direct deposits will be available on the day we receive the deposit. Once they are available, you can withdraw the funds in cash and we will use the funds to pay checks that you have written. For determining the availability of your deposits, every day is a business day, except Saturdays, Sundays, and Federal Holidays. We have different deposit cut-off hours for different deposit locations. The earliest cut-off time that might apply is 3:00 p.m. If you make a deposit before our cut-off hour on a business day that we are open, we will consider that day to be the day of your deposit. However, if you make a deposit after our cut-off hour or on a day we are not open, we will consider that the deposit was made on the next business day we are open. Our cut-off hours are available at the Credit Union. 2. Reservation of Right to Hold. In some cases, we will not make all of the funds that you deposit by check available to you on the next business day after we receive your deposit. Funds may not be available until the second business day after the day of your deposit. However, the first $200.00 of your deposit will be available on the first business day after the day of your deposit. If we are not going to make all of the funds from your deposit available on the next business day, we will notify you at the time you make your deposit. We will also tell you when the funds will be available. If your deposit is not made directly to one of our employees, or if we decide to take this action after you left the premises, we will mail you the notice by the next business day after we receive your deposit. If you will need the funds from a deposit right away, you should ask us when the funds will be available. You deposit checks totaling more than $5000.00 on any one (1) day. 5. Special rules for new accounts. If you are a new member, the following special rules will apply during the first 30 days your account is open. 6. Deposits at Shared Service Centers. Funds from deposits at Shared Service Centers will be made available in accordance with the availability rules set forth above. 7. Deposits at Nonproprietary ATMs. Funds from any deposits (cash or checks) made at automated teller machines (ATMs) we do not own or operate will not be available until the fifth business day after the date of your deposit. This rule does not apply at ATMs that we own or operate. All ATMs that we own or operate are identified as our machines. 8. Foreign Checks. Checks drawn on financial institutions located outside the U.S. (foreign checks) cannot be processed the same as checks drawn on U.S. financial institutions. Foreign checks are exempt from the policies outlined in this disclosure. Generally, the availability of funds for deposits of foreign checks will be delayed for the time it takes us to collect the funds from the financial institutions upon which it is drawn. The USA Patriot Act is part of the anti-terrorism legislation enacted after September 11, 2001. This act requires all financial institutions to take extra security precautions to help the government fight the funding of terrorism and money laundering activities. Federal law requires all financial institutions to obtain, verify, and record information that identifies each person who opens an account, a joint owner added to an account, or co-applicant on a loan if not currently a member. These new procedures are designed to prevent crimes, such as identity theft and account fraud that terrorists commit to finance their operations against the United States and its citizens. When an account is opened or changed, members are asked for their name, address, date of birth, or other information that will allow us to identify them. We will also ask to see their driver’s license or other identifying government issued documents. The definition of an account covers a broad range of regular financial transactions such as deposit, transaction, asset, or credit accounts or other extension of credit. The required verification may be inconvenient for some but a strong deterrent for terrorists and other criminals. We will only request the information required by the law, and we will use the information only for purposes of complying with the law. Privacy is our top concern, and we will respect and protect it as always, consistent with the law’s requirements. The purpose of this policy is to prevent unlawful Internet gambling businesses from utilizing the banking system. Americo FCU has established this written policy and procedures to screen and prevent unlawful Internet gambling businesses from opening an account at the credit union. The rule focuses primarily on screening for unlawful Internet gambling businesses at the time of account opening. If unlawful Internet gambling businesses are prevented from accessing the banking system, they will not be able to make or receive payments using checks, credit or debit cards, wires or ACH payments. Under the rule, credit unions are not required to monitor or determine whether its member is a gambler except that it must make sure that unlawful credit and debit card transactions are blocked. It is the responsibility of the card networks to put into place policies and procedures that meet the final rule requirements of UIGEA to identify and block unlawful Internet transactions. The credit union will rely on written notice from the card networks (Mastercard/Visa) that they have in place policies and procedures to meet the requirements of UIGEA. The credit union is not required to validate this claim but is required to adhere to card network policies and procedures. The networks may meet this threshold by conducting suitable due diligence checks on business accounts or by establishing a code system that would allow card issuers to identify and deny transactions that may be restricted. The credit union is not required to block ACH, wire, or check payments related to unlawful Internet gambling to be in compliance with the Final Rule. Determine whether the account is for individual or business use. For individual accounts, no further steps are required. For business accounts where the credit union determines that there is minimal risk of it being an Internet gambling business, no further steps are required. This is determined by requiring the member to sign a UIGEA form at the time of opening the account that states they do not participate in internet gambling. For business accounts that do engage in Internet gambling business, they must provide evidence that they have legal authority to do so or a legal opinion and a third party certification of its age and location verification procedures (to ensure that restrictions on minors and geographic legalities are observed). This step places the burden of proving that the Internet gambling entity is operating legally on the business itself and its governing authorities. The credit union will classify this account as having increased risk and will therefore monitor this account. When the credit union has “actual knowledge” that one of its business members is participating in restricted transactions, the credit union may choose to counsel the member on their infraction, deny them access to the payment system or close the account. According the Final Rule, “actual knowledge” is gained when the credit union is notified or receives a report from a governmental entity such as law enforcement or a regulatory agency that a business account is processing restricted transactions. The discovery of restricted and unlawful gambling will initiate a Suspicious Activity Report filing with the Bank Secrecy Act Officer. Existing members will be notified of the new UIGEA restrictions through the credit union newsletter and on the website. New business members will be notified in the new account packet. If you are in default on a financial obligation to Americo Federal Credit Union, Federal Law gives us the right to apply member shares, dividends and deposits in your account(s) at the time of default to satisfy the obligation. When you default, we may exercise the right without further notification to you. Further, we may impress shares of any member who is a responsible party on a financial obligation in default at the credit union. Spam: Comments focused on selling a product or service, or comments posted for a purpose of driving traffic to a particular website for personal, political or monetary gain will be removed. Personal Attacks: If you disagree with the content, we would like to hear from you, but ask that you refrain from personal attacks or being disrespectful to others. Malicious intent and/or participation not in the spirit of civil conversation will be removed. Illegal: Posts must not violate laws that govern use of copyrights, trade secrets, etc. Offensive Language: Comments including, but not limited to, profane or provocative language will be removed. Comments that contain threatening, hateful, offensive, derogatory, obscene or sexually explicit language will not be tolerated. Private or Confidential Information: Please do not provide any of your specific account details or other personal information when posting comments. If you have immediate service needs, please contact AMERICO Federal Credit Union at 814-899-6608, or visit one of our local branches for assistance. Posts in HTML Format (or URLs) will be removed. Please only use plain text when submitting your comments. Posts from Individuals Under the Age of 13 cannot be accepted. Posts Containing Photos will not be accepted, unless specifically requested by an authorized representative of AMERICO Federal Credit Union for a contest or other business-related purpose. In these instances, pictures will be reviewed and will not be posted if deemed inappropriate. Endorsements: AMERICO Federal Credit Union does not endorse any comments made by its employees, unless they are made in an authorized representative capacity. Statements and opinions expressed in the comments are strictly those of the commenter alone, and do not constitute an official position of AMERICO Federal Credit Union unless they are posted by the original author (who is an authorized representative of the credit union) or by a subject matter expert responding on behalf of that authorized representative. AMERICO Federal Credit Union Employees: If you are a AMERICO Federal Credit Union Employee, you MUST disclose your employment status when you submit a comment or question. When participating in online communities, do not misrepresent yourself. Whether you are at home or in the office, working for AMERICO Federal Credit Union is a material fact that may influence content, and community members have a right to know you work for AMERICO Federal Credit Union. When commenting on the credit union, unless you are authorized to speak on behalf of AMERICO Federal Credit Union, you must state that the views expressed are your own. If we feel the nature of your comment is confidential, shares information not generally available, or recommends an action which could adversely affect our members, we reserve the right to remove comment from a blog or social media site. Thank you for helping maintain the integrity of our community by disclosing your employment relationship. Disclaimer: The materials on AMERICO Federal Credit Union’s sites are provided “As is”. AMERICO Federal Credit Union makes no warranties, express or implied, regarding merchant ability, fitness for a particular purpose, or non-infringement of intellectual property or other violation of rights. Further, AMERICO Federal Credit Union does not warrant or make any representations concerning the accuracy, likely results, or reliability of the use of the materials on its sites or otherwise relating to such materials or on any sites linked to these sites. The information and content provided on our sites is intended for informational purposes only. AMERICO Federal Credit Union is not responsible for any content posted by users, including posts made by employees or agents who are not authorized administrators of our sites. Content posted by others is not edited by AMERICO Federal Credit Union and does not necessarily represent its views or opinions. Limitations/Indemnification: In no event shall AMERICO Federal Credit Union, its affiliates or suppliers be liable for any damages (including, without limitation, damages for loss of data or profit, or due to business interruption) arising out of the use or inability to use the materials on AMERICO Federal Credit Union’s sites, or for loss or damage that results from your failure to comply with these terms or other applicable guidelines, or from any technical, human or software errors or failures found within our sites. You agree to indemnify, defend and hold harmless AMERICO Federal Credit Union, its officers, employees and agents from any and all liability with respect to any claims from any third parties arising from your use of our sites or violations of these terms or applicable guidelines. Privacy: Your use of AMERICO Federal Credit Union’s social media-based websites constitutes your consent to AMERICO Federal Credit Union use of information obtained through your site visits. With respect to content collected through our sites, AMERICO Federal Credit Union follows the applicable privacy policies of the third-party hosts of our sites. Please note that when visiting any AMERICO Federal Credit Union site, you are also subject to the terms and conditions of AMERICO Federal Credit Union’s privacy notices, as well as the terms of service and privacy policies of third-party hosts, when applicable. 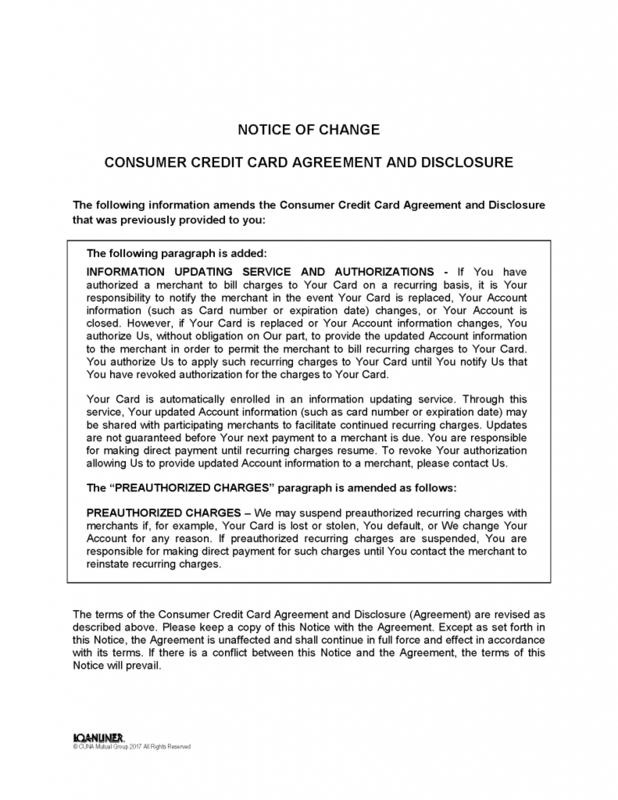 AMERICO Federal Credit Union reserves the right to change these Terms at any time at its sole discretion.